Mr. Brainwash's changed the mural outside his studio last Wednesday. 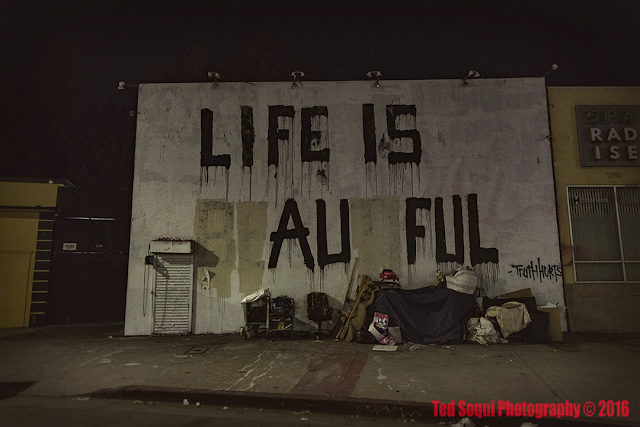 It used to read "LIFE IS BEAUTIFUL." The homeless encampment has remained for now as well.